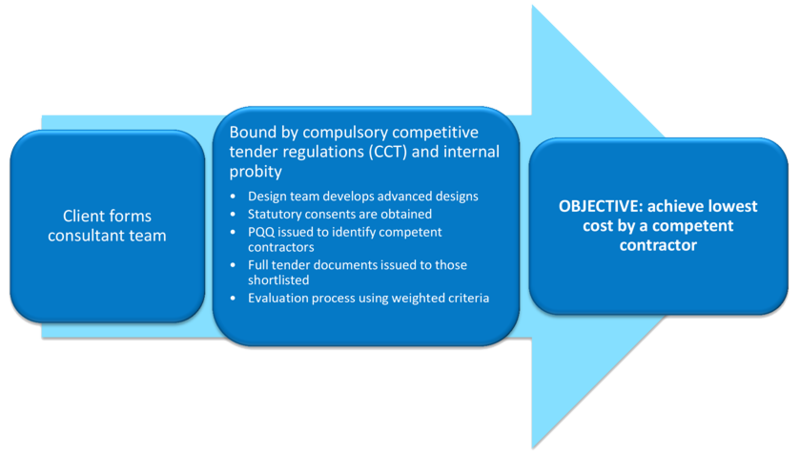 The traditional procurement route is illustrated below – it is fundamentally flawed because for specialist construction services design cannot be separated from delivery and cannot be completed ahead of tender. From the client’s perspective the traditional procurement route consistently fails to deliver the product and service required. These examples explore how and why.